The simple answer to this statement is, because we don’t have time. The exact choice of which microphone to use for each situation of recording a vehicle is a detailed exercise and would take more pages than we have space for. Even then, there is a major flaw associated with the idea. What I hear and what sounds good to my ears may not work for you. Suggesting Brand X or a Model 2B, stuffed up the exhaust pipe of your Honda, may only serve to encourage you to spend more money than you need to. As much as we all love to buy new equipment, I think there is value in stepping beyond the tools and toys. I’m going to be more general and share a more conceptual approach to capturing good vehicle sounds. What I will do is take you through some of the essential lessons I’ve learned when recording vehicle sounds for Sound Librarian. In creating our sound libraries, I’ve recorded motorbikes, cars, tanks, boats, airplanes, pretty much every vehicle I could get my microphones near. In the 15 years I have worked in game production and recorded a large percentage of raw material myself for various reasons. When I am looking to record sounds for a particular project I use the audio design to guide my approach to the location recording. I have been fortunate in that most of the time I have been responsible for all aspects of the sounds for a project. I have directed the sound design and coordinated the implementation into the project. This has given me a good advantage in that I have the overall design in mind at all times. 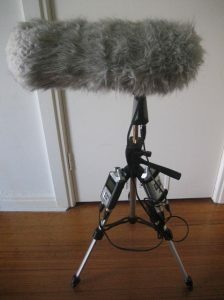 To get good, useful sounds when you are out recording on location you need to always keep in mind not only what sounds you need but how you are going to use them. There are so many different aspects to the sound a vehicle makes that you can end up tripping over yourself in the rush to point a microphone at an engine or an exhaust pipe. This article aims to give you the opportunity to step back and consider some of the more conceptual aspects of vehicle recordings and also to look beyond the immediately obvious aspects of the task. To start with, let’s take a step back from the actual recording of sounds and look at how we can manage the situation. Consider this, what are you trying to achieve beyond just capturing the sound? So our approach to recording a vehicle needs to be that we treat the vehicle and the person who has granted you access to it with the appropriate level of respect. Make sure that at no stage are you placing yourself, the operator of the vehicle or anyone else at risk. Be prepared to capture some sounds that quite literally may range into the most extreme ranges that human hearing can deal with and even beyond. 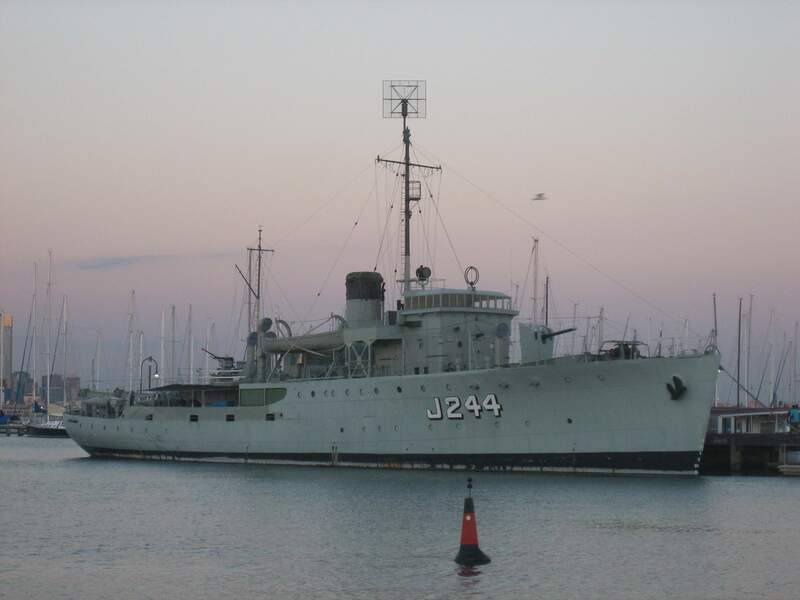 An entire day was needed to capture all the sounds on this partially functioning museum ship. What I have found in my experience is that often the solution to one of these problems can be a solution to all of them. I will provide a couple of examples, that are less about exactly which piece of equipment I used and more about the thought process I went through in choosing the equipment. For recording motorbikes I usually use tiny lapel microphones. They are small and lightweight. Many models can deal with extremely high SPL levels and they often have a very thin custom cable designed to be wearable by a person without getting in the way. This means I can position a small mic exactly where I need it to be and run it across the chassis of a bike without it getting in the way of either the vehicle or the rider. Often I need a small amount of gaffer (duct) tape to secure the cables as I can run them along panel lines and where I can I will secure them with twist or cable ties. By carefully examining the bike beforehand I can plan exactly where the mic can be placed and the cable can run to ensure the best position for recording and mounting the mics. In this way there is no risk of damage to the bike and simultaneously the lowest risk to the rider. 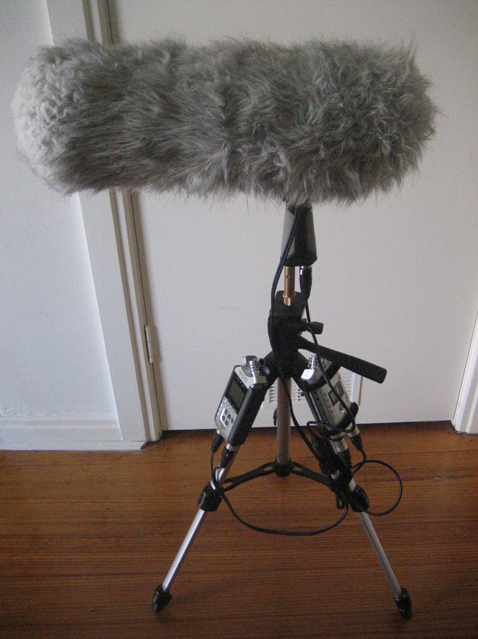 In this case, choosing mics with the high SPL needed, lets me place them wherever I need to capture the sound I want. This also provides the best choice for minimizing operator risk and vehicle damage. When creating The Aviation Collection I used every mic at my disposal to capture a large range of aircrafts. Over a period of 18 months I captured sounds from very old to brand new, very low tech to very high tech aircrafts. The most significant recording examples were from the cockpit interiors I managed to capture. Initially I just wanted to hear what the inside of some of these planes sounded like. My thought was to analyze a basic recording and then at a later date, work out a more “Hi Res” method of recording the interiors. So for my test I approached some pilots and asked them if they could carry a recorder inside the plane. I talked with some pilots and we discussed a method of strapping a recorder to their leg using a pilot’s flight board, and I experimented with all sorts of different approaches to this issue with a pilot who was willing to help me out. I had varying levels of success with these tests. I was quite happy to try anything, so he took the plane up with a small inexpensive digital recorder in the pocket of his suit and the recording was absolutely fine, in fact I could argue it was as good as you were ever going to get. The leg pocket of a flight suit is well inside the cockpit of a plane, the pilot’s legs do not move much at all and the material is such that it cannot affect the sound of most aircraft engines very much. 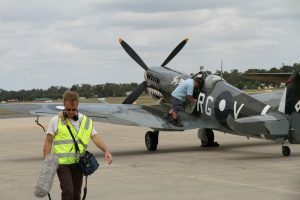 By comparison, if I had managed to get permission to install a “proper” recorder into the cockpit, the air safety regulations would have meant I would have had to bolt all the equipment in and safety check everything. This would have taken hours for each plane, rather than the seconds it took me to hand a pilot a handheld recorder. From a sound point of view, the interior of a fighter plane, be it propeller or jet is so incredibly loud and essentially just very high intensity noise. Even the most expensive equipment in the world would, I suspect, not have made very much difference at all. Remember, our task is to capture usable material, not achieve some unobtainable level of perfection just for the sake of it. So sometimes, a cheap handheld unit can be the best piece of equipment for the job! Aircrafts are complex vehicles to record properly, but also one of the most satisfying. Why am I recording this thing? The ‘why’ of this process is always the most important consideration. What is the ultimate purpose of the recordings you are planning to make? This defines your entire approach when on location. If I need the sound of a sports car roaring past the camera for a single scene in a movie and that is the only time that car will ever be heard, I could quite practically stand on the side of a highway and wait for something suitable to drive by. It might take a little while, but it is probably cheaper than hiring a car for a single pass, and would arguably be more time efficient than negotiating with someone to borrow something suitable. This is a bit of an extreme example, but the point is relevant. Frankly in this situation, I can see no reason why I would not just leave my mics at home and grab a sound from a sound library, as that would be the most efficient use of my time and the clients’ money. If I decide I do need to set up and record a vehicle, the way I want to use the sounds defines what and how I am going to approach it. For this example, I will describe how I would go about recording a car for archival or sound library purposes because in these circumstances you effectively capture every sound a vehicle is capable of producing. When I archive a vehicle I plan to capture every sound the vehicle can possibly produce and that I can reasonably record. This requires time. Inside a vehicle you have all of its general controls; switches, dial, buttons, levers, anything that can be used by the operator or passengers, and that produces a sound, needs to be recorded. As much as possible you want to capture these while the vehicle’s engine is switched off. Though if a sound requires the engine to run, then capturing it in that state is accurate to the operation of the vehicle. For completeness, any operational sound that can be heard outside the vehicle needs to be recorded both inside and out. So obvious sounds like doors, windows and hatches need to be recorded from both inside and out as do horns, windscreen wipers and hydraulic systems. This might sound obvious, but the number of sound effects libraries that have huge numbers of sounds missing from collections of vehicle sounds indicates that many recordists forget to capture a full set of sounds for many vehicles, so it is worth mentioning. For the record, I now work off a checklist because I have often forgotten to capture a sound in the heat of battle. While trying to work through a huge list of sounds, it is very easy to forget to record a car horn from outside the car, or to capture the fuel cap being unscrewed. A checklist avoids these omissions. When it comes to the operation of a vehicle this is where the real challenges come in. A full archive will also include capturing the vehicle while it is operating, but there can be multiple perspectives to this. 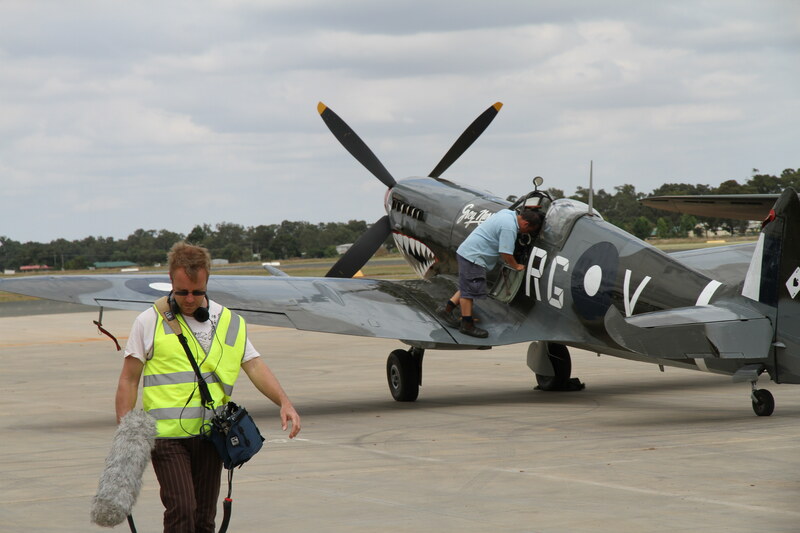 For games and sometimes for film and TV it is important to capture a full range of the operational sounds. Ignition, shutdown and operation through gears and RPM ranges needs to be achieved in a clinical manner to ensure all situations are covered. The nature of implementing game sound is such that you need a constant loop-able example at various RPM ranges. This is actually very hard to achieve on a normal road and may require a dynamometer or other similar device. You may be able to record this material on a perfectly flat road with a cruise control option, but it can still be difficult to get right. Drive-bys or flybys or sail-bys all need to be considered and should be captured from multiple angles, with the vehicle moving at various speeds captured from a range of distances. While some of these can be simulated in post-production, if you have the time and ability to record the material on the day it is always the best approach for completeness. These elements also refer back to the question ‘What is the purpose for these recordings?’ If you are not doing a full archive and have limited access it is critical to plan exactly what you need on the day. • Several remote mics on the track or road to drive past. The main difference here is the complexity of the vehicle and its operating requirements. Attaching a mic to the outside of a plane while it is flying can be dangerous, difficult to achieve and is most likely to override any wind protection you have and provide you with completely unusable noise. That said, this is really not as much of an issue as it might seem. From my internal recordings of most planes I have captured, I can comfortably say that once a plane gets up to speed the engine is most often a single sustained pitch and tone with only minor variation. So recording an aircraft on the ground running at high revs is practically the same as it is going to sound when in the air, but with much less wind noise to deal with. If you’re recording a heavy vehicle like a tank there are other considerations. Many older battle tanks actually have two engines. There is a smaller secondary engine that will start up first which powers certain operations and is also used to start up the primary engine. Both engines will usually be rear mounted, but remember you also have a turret to contend with. So not only can the operation of the turret limit where you can place mics (otherwise they risk being torn off by the turret) but also the sound of the turret is something you will want to capture as well without contaminating your engine sounds. A tank’s main engine can be VERY loud, and mic placement does not need to be quite so close to the exhausts. Differentiating between the primary and secondary engine can be difficult unless you position your mics carefully. Each model of tank will need to be addressed individually to get the best results. Armoured personnel carriers are usually smaller and only have a single engine, but they may have more hatches and control systems to capture. Both types of vehicles will have distinct interior sounds, but because of the nature of how they can travel across terrain, be very careful how you mount equipment inside them. 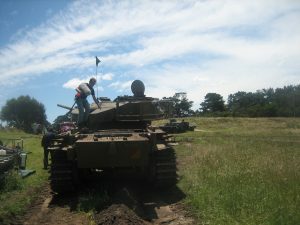 Tanks are noisy and big, you are unlikely to damage them, but they can damage you and your equipment if you are not careful. If mics and recorders are not mounted carefully you will find they bounce around and you will get nothing but vibration and impact sounds, not to mention the possibility of your equipment being damaged. Remember the inside of an armoured vehicle is very different to the inside of a car. They are completely utilitarian and usually just hard plate steel, so things can bounce around creating unwanted noise and possible be damaged just by the hard surfaces. This includes you! I have more than a few bruises from trying to hold recording equipment while riding in military vehicles. Using both hands to keep mics steady means no hands left to keep yourself steady. 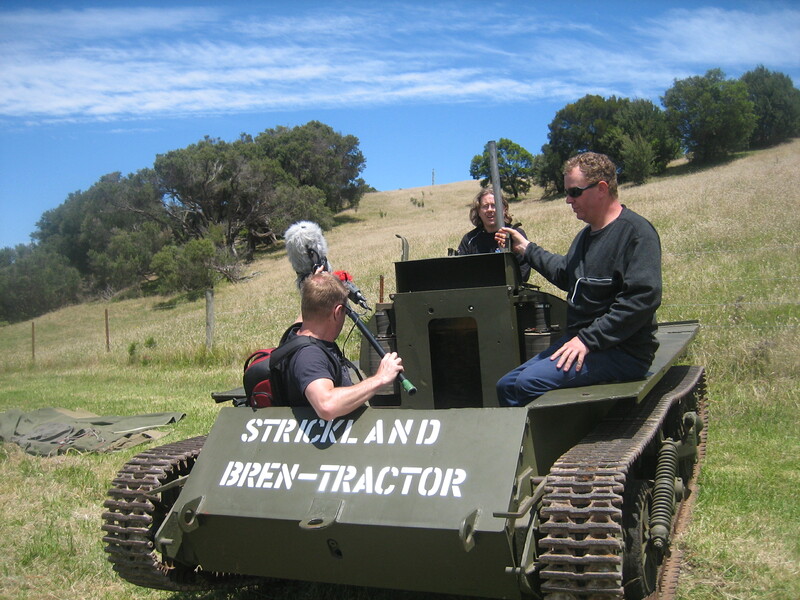 Remember to capture the tracks of any tracked vehicle you record. This is one of the most distinct aspects of their operation. The best location for micing tank tracks is the front of the vehicle as close to the front guide wheel as possible. Tank tracks roll forwards over the front wheel and this is where they are at their noisiest. The tracks are slightly loose at this point and clatter or rattle and they roll over the guide wheel. This is where the distinctive tank track noise comes from and it is also conveniently the furthest point from the engine and exhausts. 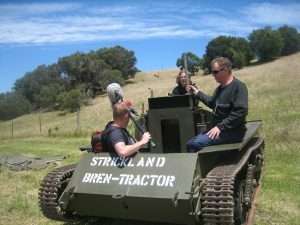 The Bren Carrier is a great vehicle to capture isolated Track sounds. It is small and easy to work with. It is also good to understand that most tanks have a very distinct relationships between the sound emitted and the vehicle’s orientation. As a tank moves away from you it is all engine and exhaust sound. The exhausts usually point backwards so this makes sense. When a tank is traveling towards you though, the engine is quite subdued in volume and the track clatter is very strong. So make sure when recording the vehicle operation you capture both perspectives. I usually use my cheaper equipment attached to the tank, again because of the nature of how they operate. It is very unlikely that my gear will hurt an armoured vehicle in any way, but the reverse could easily be the case. If my gear is dislodged or falls off while the vehicle is moving, I need to be aware that my gear may be damaged and I select each item accordingly. The first time I encountered this aspect of vehicle sounds I was really surprised at what I discovered. Many years ago I gained access to a historical tourist railroad collection. At one stage I was recording a 1950s diesel engine that was idling in the shunting yards. I got nice and close and captured a beautifully clean recording of the engine idling away. I then decided I had what I needed and started to move off in search of other sounds. As I moved away from the diesel engine, the sound through my headphones changed. I directed my mic back towards the train and realized I was hearing a different sound. After capturing a few minutes of this sound I preceded to walk around the entire engine. My error was in assuming that the sound of a train consisted of just a single simple sound. Many engines produce different sounds from different perspectives. The common road car is a perfect example; the sound from the front of the engine is quite different to what we hear near the exhaust. 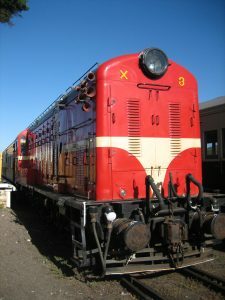 I quickly discovered that the diesel engine was similar. Throughout the 360 circumference of the engine I must have captured close to a dozen different sounds. This particular engine had a fairly complex method of operation that included vacuum pumps, exhaust, combustion chambers, pressure release and many other quite different sounds. At certain points when circling the engine I could capture blends of two different sounds, but as I moved around the vehicle I was staggered by just how variable the sound output of this machine was. This 1951 Diesel engine had a surprising range of sounds. Like most people, I hate the sound of engine trouble in the vehicle I am driving and everything it represents. That is of course, unless I am recording it! One category of sounds that are often overlooked when archiving a vehicle are those associated with it malfunctioning. There is such a huge selection of sounds that all vehicles may produce when they are not operating correctly and yet sadly these sounds are often not included in recording collections. Over the years, my stubborn resolve to carry recording equipment with me everywhere has allowed me to capture a great selection of broken engine sounds. A faulty hire boat on a costal holiday, a broken travelator at Seoul Airport and a miss-firing fighter plane captured as part of an archiving process because of the cold morning air, are all examples of some of my favourite sounds. Perhaps this is an odd personal preference, but I far prefer the character of a coughing wheezing engine struggling to start than a modern ‘never fail’ motor. Because there is such a wide range of potential difficulties that a vehicle engine can have to deal with it is important to record anything and everything possible. It is unlikely that you will ever be able to record all the possible issues with any particular vehicle you have access to, because many issues are the result of damage to the engine. We obviously do not want to trigger an issue unnecessarily. Perhaps this is the perfect opportunity to befriend your local mechanic and ask if you can hover around their workshop sometimes when they have particularly problematic repairs to work on. 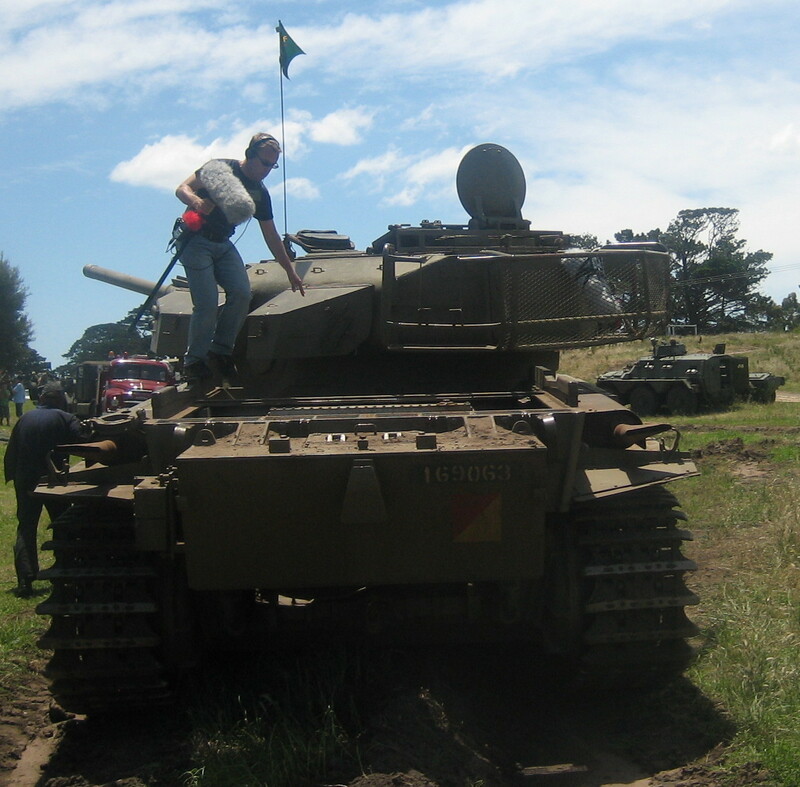 Alternatively, historical vehicle clubs often have restoration and repair weekends where members get together to help each other test and repair their collection. Being a fly on the wall armed with a recorder may be a wonderful investment of a few hours on the weekends. 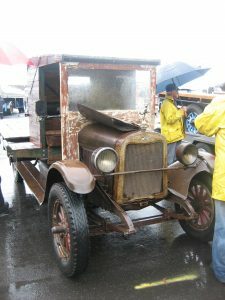 Nearly 90 years old, this Chevrolet lorry still ran. One of the principle issues with recording a vehicle is the environment you have access to. Car, trucks and bikes need roads and roads usually have other vehicles around. If I have full access to a vehicle then I can decide to drive it to a nice quiet location or record at a more quiet time of the day, but if you are being given limited access to a specific vehicle that may be trickier. Just like a film shoot, it is an investment of your time to do a scouting trip. Spend time and find useful locations. For full access vehicles, this means knowing where in your area are good spots to travel away from the general traffic. This could be a quiet road on the outskirts of the city, or even a drive out into the country somewhere. Be aware that at different times of the day and also different times of the year any environment can change dramatically. Not surprisingly, this is the exact same list I provide when I talk about how to capture creature sounds, but in this case we are planning for the times of less activity instead of more activity. Frankly, the best time to be recording a vehicle is on a stinking hot day out in the country where all sane folk, birds and animals are all hiding from the hot sun. Then you have a better chance of having the road to yourself. So the scouting stage should include finding suitable locations but also a bit of research into what potential noise contamination you may need to deal with. Earlier I mentioned the use of remote recording rigs. I have found these very useful over the years. A remote rig can provide you with microphone perspectives that would otherwise be difficult or impossible to capture otherwise. If you work alone it can be nearly impossible to capture vehicle drive-bys if you are also the person operating the vehicle. In the case of airfields and race tracks there are often areas that you simply are not allowed to access due to safety regulation. In all these examples a remote rig can provide you with the opportunity to record material you otherwise never could. My remote rigs have developed a little over the years, but essentially they boil down to a simple requirement; a recording device and microphone that can function when unattended. This could be as simple as taping a digital recorder to a fence post, a variation of the rigs I now use, or as complex as your budget can afford. This setup provide lots of options when on location. I use a shotgun mic, mounted in a blimp system attached to a camera tripod. I then mount a digital recorder on the leg of the tripod. Sometimes the recorder will also be recording with its internal stereo mics as well as the input from the shotgun mic. This setup has been placed at the end of airport runways, near racetracks and on the side of the road where I can drive by the mics repeatedly. It provides me with an extra set of mics, that can be positioned as needed, does not endanger anyone, and can be placed in restricted areas where people are not allowed to stand. • For the same reason, I use high end batteries when I am leaving a rig unattended for 5+ hours. Rechargeable batteries are brilliant 90% of the time, but high end disposable batteries will always outlast rechargeables and so are a better choice for long days. • Set you levels to capture the absolute loudest sound you expect to record on the day. Once set these units need to be able to record all day without being altered. For this reason I split my mono shotgun input into 2 signals and set one really low and one really high. This increases my hit rate for capturing what I need. • Use sandbags and even toggle ropes to anchor down the units. This is for the safety of your equipment and also everyone else. You do not want your rig to blow over into the middle of a runway or race track. • Add the highest level of wind protection you have to your rig. It may not be windy when you set up, but if the weather changes 3 hours in you want to ensure you are still capturing usable content. • Consider carefully how you orientate your directional microphones. Do you want to record the racing cars as they come towards the mic, or as they travel away from the mic? Keeping in mind the difference in sound of both situations. • As much as possible check if there is any chance of rain at all. 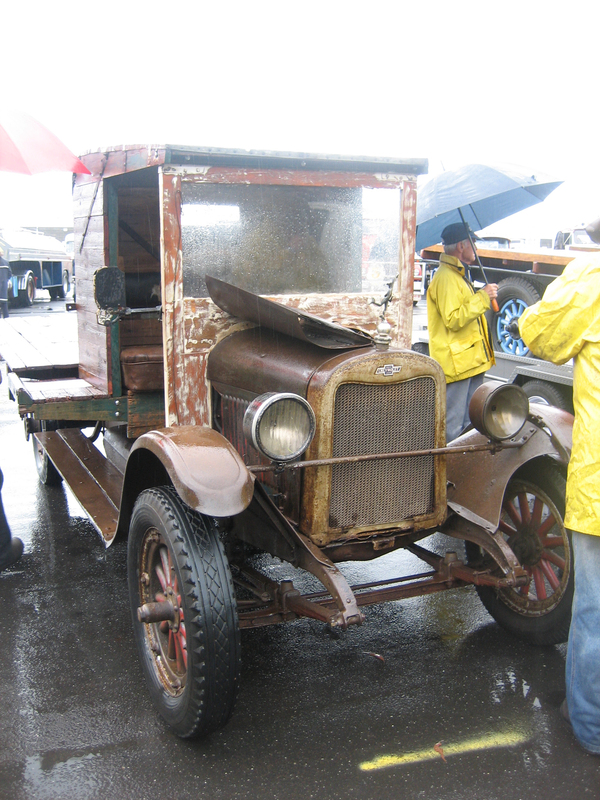 A race may well continue even in heavy rain, and you may have your gear stuck out in it until the end. Do not risk your gear unnecessarily. This article has introduced a range of conceptual approaches to recording various vehicles and has suggested various options to deal with various scenarios. One of the main reasons why it has not claimed that any of these methods is the perfect solution, is because there IS no perfect solution. Each time you approach any recording session you need to consider a wide range of factors and elements that will be completely unique to that day. Remaining flexible and using these tips and others that you have collected over the years is the best way of achieving a high quality outcome when you start recording. Trust in your own instincts when it comes to any recording session, but most importantly trust what you hear. Use your ears to determine which outcome is the best for your needs and adapt and evolve any methods you know of to further improve your results. Keep yourself, your crew, your equipment and everyone else away from harm and enjoy any opportunity you get to capture some great sounds! Sound Librarian provides a course on location recording that includes tips on recording vehicles as well as firearms, foley, dry ice and other interesting source materials. Editor’s Note: Check out our review of the course on Designing Sound and definitely take a look at the Sound Librarian website in the upcoming days for more information regarding a price drop on the recording workshop bundle that will last until our monthly theme changes (until the end of July). Killer writeup! really great stuff. Great practical stuff – everyone’s got to love the lavs! A great read. I am currently considering recording some individual vehicles and the insight of this approach will definitely help when in the field. Thanks for sharing.